Putin@war: What's the problem with OSCE? 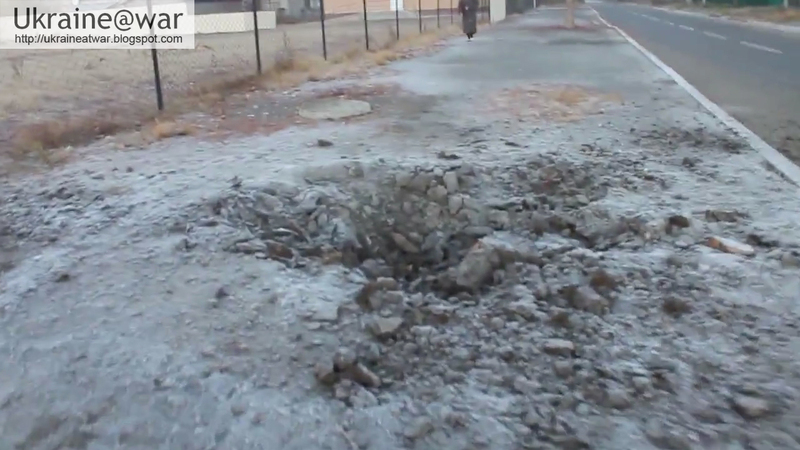 In this report the OSCE blames Ukraine for the shelling on and around school No63 in Donetsk on the 5th of November. Yet as shown in this analysis, at least one of the shells could not have come from that direction AT ALL. OSCE does NOT provide ANY details how they come to their conclusion. No calculations, no images, no measurements, none whatsoever. This makes it IMPOSSIBLE to determine whether they were right or not. They just state and we have to believe based on their authority? I have given a detailed assessment. Everybody can see how and why I come to my conclusions. Everybody can criticise me on this in detail and so they do. If I am wrong, or new information leads to tweaking of conclusions, so be it and I correct. OSCE: nothing of this. how does OSCE determine from which direction it came? Especially when they say shots were from 'high angle fire', it means it is much more difficult to determine the direction than shots fired with a more horizontal angle. Maybe they can explain in detail how they can see that this shell came from the NW? So we can have our own experts look at it and see if they were right? If they fail to provide that information they should retract their report or delete the conclusions. Two kms SW means either a forest, a cemetery or a neighborhood with apartment buildings. Who would want to be shelling there (except for the Russians)? But even if so, why would you run for that when you are 2 kms away? 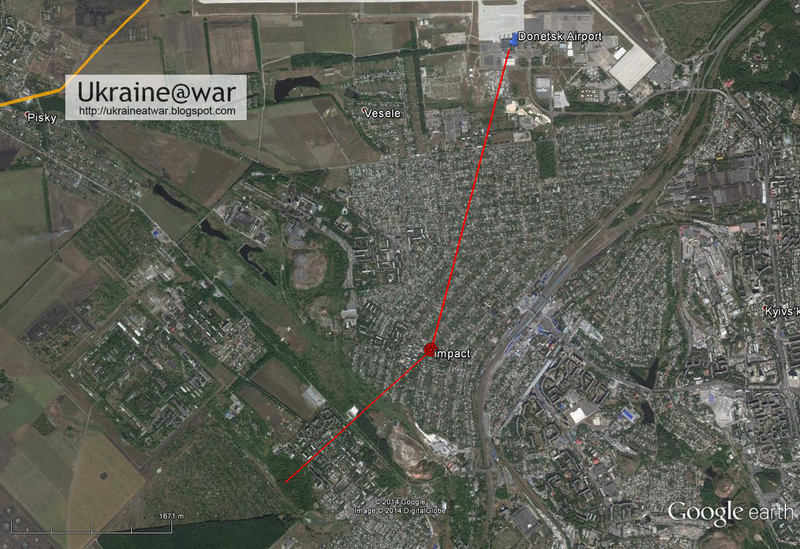 At 3 kms distance at Donetsk Airport there is CONSTANT shelling, including the area all around it. If 2 kms is too dangerous, why do you go there in the first place? 2 kms... give me a break. Why did they not take photos and publish them? 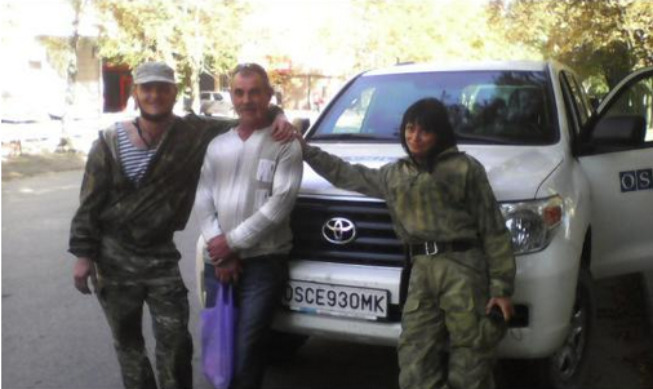 The problem with these photos is not the incident in itself, but the fact that this is an indication for what kind of relationship they have with the Russian militias. 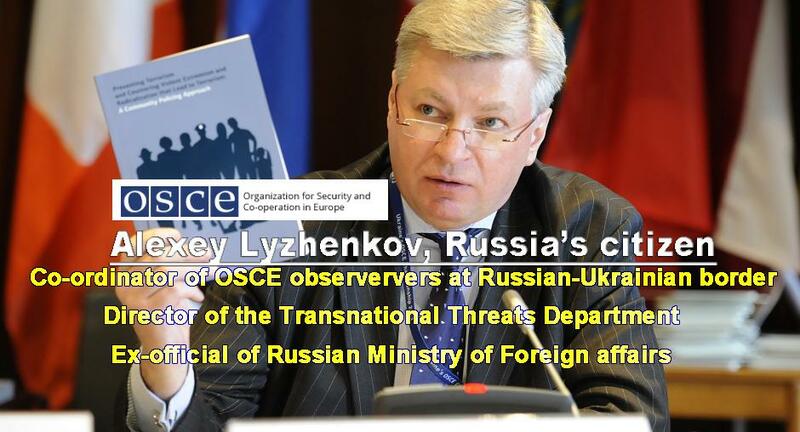 So the coordinator of the OSCE observers at the border is a Russian citizen and former official at Ministry of Foreign Affairs... Give me a break! With people like this, they loose EVERY credibility for neutrality and this shows AGAIN from their report about this shelling. Just to be precise: the OSCE observer border mission in Russia at Russian border checkpoints Gukovo and Donetsk (Rostov Oblast) has technically nothing to to with OSCE SMM (special monitoring mission) in Ukraine. They are totally separate. Otherwise, I subscribe to any word here.